Ficel OTR drivers make $70,000 to $95,000 per year and are home every weekend. New OTR Drivers are GUARANTEED $1350 Per Week Minimum for the First 13 Weeks of Driving. Local drivers make excellent pay with guaranteed minimum rates and are home daily. We offer excellent benefits to all of our drivers and our average driver has been with us for over 5 ½ years. Ficel trucks run throughout Western NY State, Southern Ontario, the Detroit metro area, Central and Western Michigan, Northern Ohio, Northwest Indiana and the Chicago metro area. We also operate local fleets in Buffalo, Detroit and Gary, and we handle a number of specialty routes when applicable. Call 800-873-8866 ext 329 for more information. 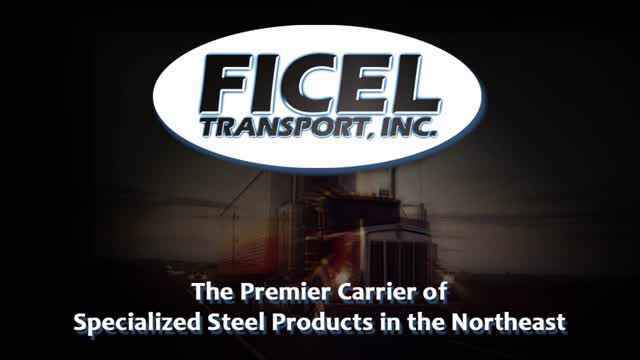 Ficel Transport is the premier carrier of specialized steel products in the Northeast. Over the past 35 years, Ficel has established itself as one of the nation’s top names in steel-hauling. Prospective Drivers – to speak to head recruiter about driving for us call 800-873-8866 ext. 321 and leave your name and number. Click here to apply to drive for Ficel!